As you spend the weekend watching countless hours of Masters coverage, you’ll see dozens of professionals with different swings, different sponsors, and different stories of how they got there. But they all have one thing in common: they each picked up a golf club for the very first time at some point in their lives. It could have been on a putt-putt course at age 5. Or possibly on an actual course with dad at age 10. Or it could have been the desire to knock down a wasp nest by the garage at age 12 and a golf club was the only thing around to get the job done. No matter the time or place, or even circumstance, the game of golf grows little by little with each interaction. It’s been that way for hundreds of years. Sure, equipment has evolved and courses have gotten longer, but the game has never been more accessible. Topgolf is a perfect example of this. You don’t need to own a set of clubs or have a membership to a course to have a great golf experience. Topgolf has all the benefits of the game without some of the most expensive aspects of it. Professional golfers come to Topgolf all the time, but the time is fast approaching when a professional golfer will have started his or her career at a Topgolf. With programs like KidZone Academy (Winter, Spring & Summer), Topgolf U and individual instruction, thousands of children and teenagers are getting the opportunity to learn from the very best instructors the game has to offer. This couldn’t be more evident when it comes to the story of Grant and Gabe. When then 5-year-old Grant and his family moved from Chicago to Dallas in July 2015, his parents were interested in getting him into activities to meet new friends and explore new sports, which would hopefully help him transition to a new city. Shortly after exploring their new community in search of fun summer activities before organized sports began in the fall, they discovered Topgolf. Grant’s grandfather had given him golf clubs when he turned 3, and he became more interested in playing with them when they moved to Dallas. Although these Wind City natives had very little access to golf while living in the city, they were attracted to Topgolf’s numerous children’s programs. 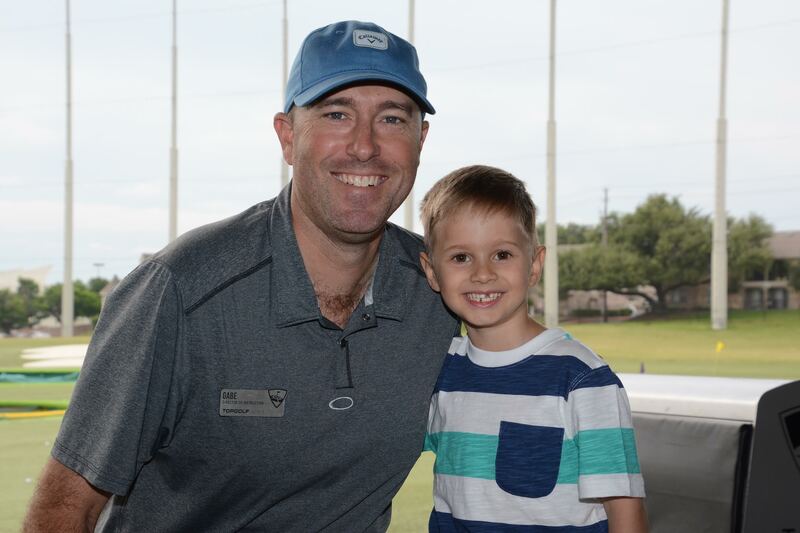 Grant enjoyed these programs so much that his parents signed him up for a lesson with Gabe Reynolds, Director of Instruction at Topgolf Dallas – and it was a match made in heaven. 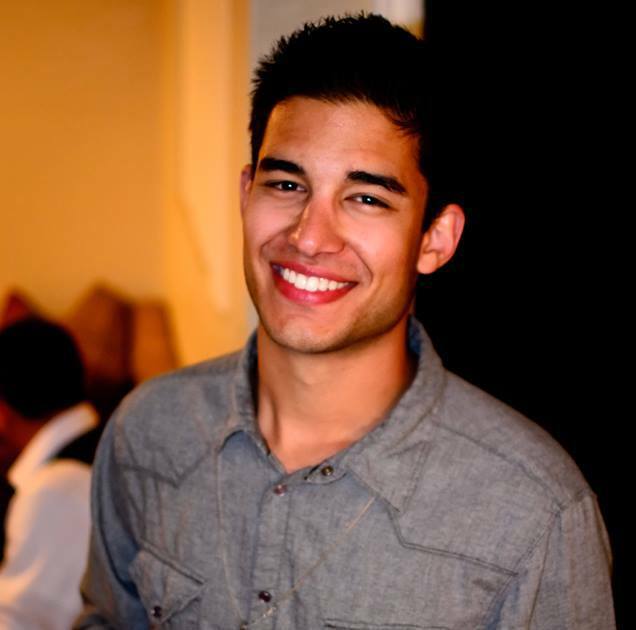 “Coach Gabe”, as Grant likes to call him, knows that his role is very special. “As golf professionals that work here, we have the privilege of being part of that initial golf experience for countless players. It is the most rewarding part of my job,” he adds. Don’t let the cute smile or cute outfit fool you, Grant has himself a golf swing that should make us all a little jealous. Grant has also started to fill up his trophy case. He recently participated in the Junior Putting Championship at Lakewood Country Club … and he won his age group! Coach Gabe has already begun prepping Grant for his first tournament early this summer, and let’s just say, we really like his chances. There are thousands of boys and girls out there just like Grant – who don’t even know they’re about to fall in love with a game that is evolving and reaching them where they are. For Gabe, knowing that you’re making an impact that goes beyond golf is something that golf instructors can only dream about. But at Topgolf, that very thing is becoming a reality every day because of amazing individuals who know the game is much bigger than themselves and the next generation is much more talented. Michael is a digital copywriter whose array of responsibilities includes managing the Topgolf blog (so if it starts to go downhill it’s all his fault.) When he’s not putting words into sentences, he golfs, eats, goes on walks and ponders some of life’s toughest questions. Like why do they put both rental car keys on the same keychain? If you lose one - you lose both. It doesn’t make sense.